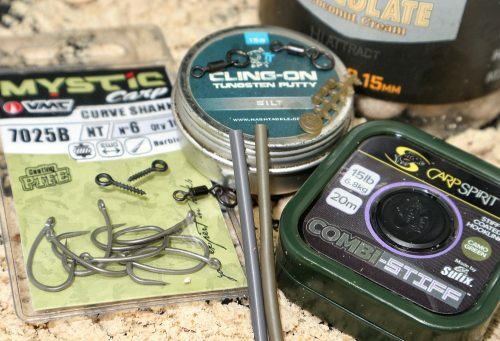 What situation can you use Ronnie rigs for? 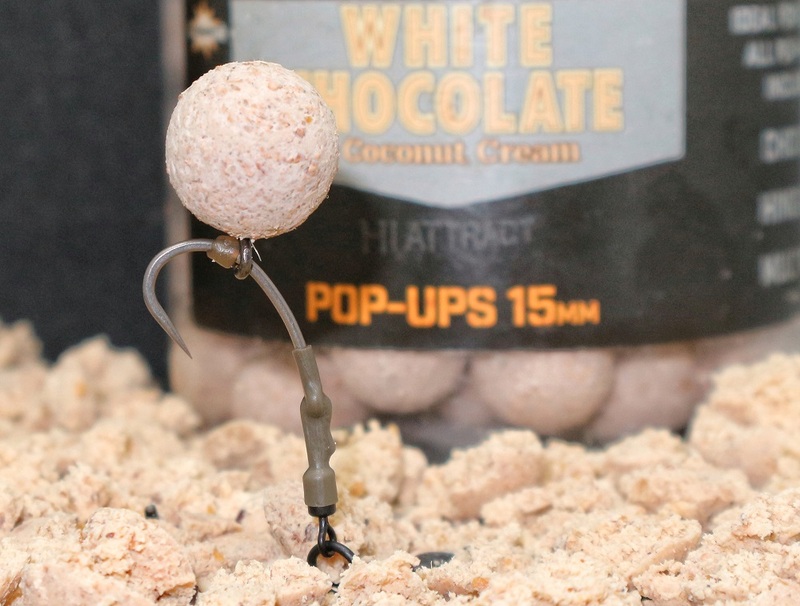 What baits are best for fishing a Ronnie? 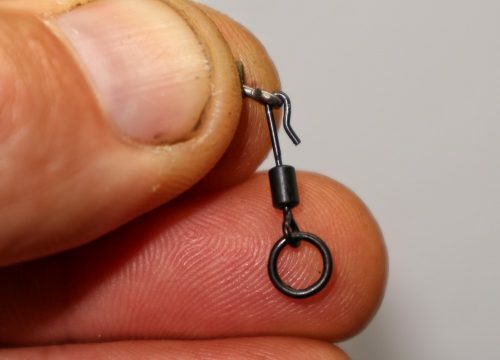 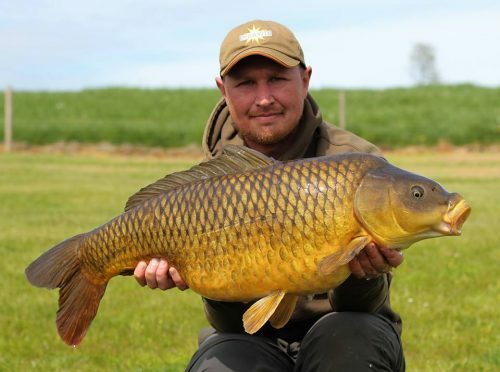 Its a rig that suits using a pop-up bait that can be fished almost anywhere on any venue, whether it be to showing fish, low weed, silt and gravel. 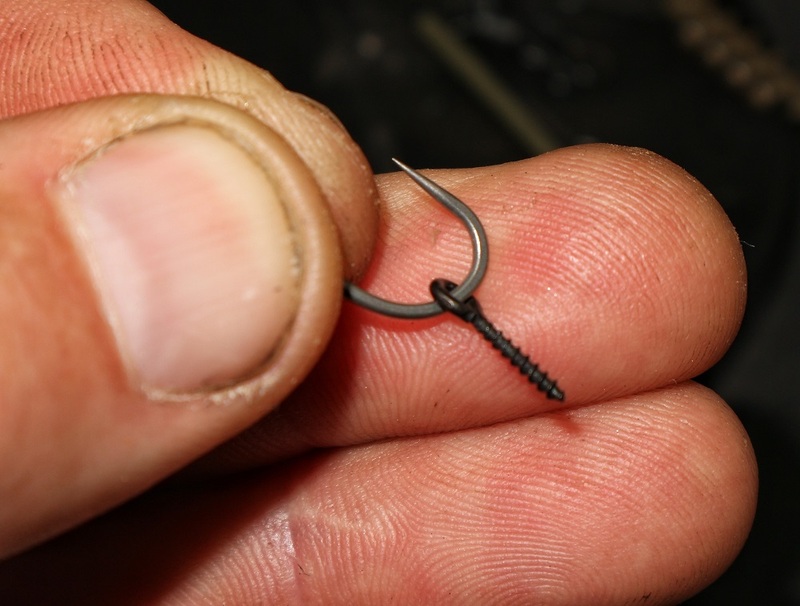 Curved shank hook, hook bead, shrink tubing, bait screw, tungsten putty, quick change ring swivel and choice of hook link material. 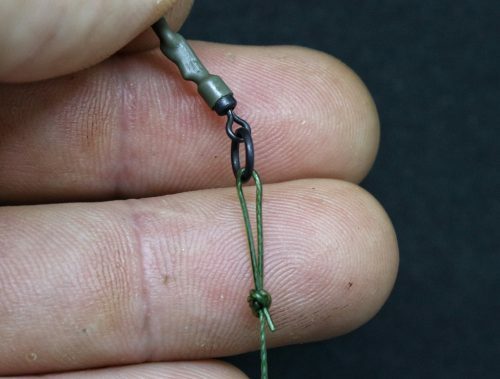 How do I tie a Ronnie or Spinner Rig? 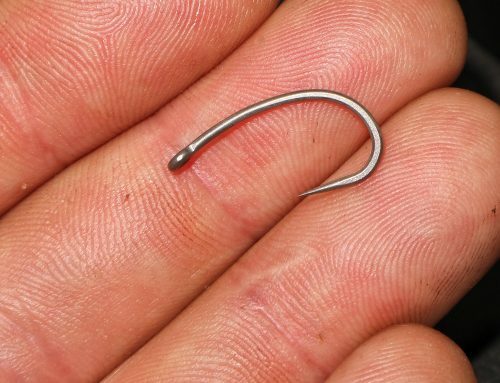 Step 1: Take your choosen hook – our choice VMC Mystic No 6 Curve Shank. 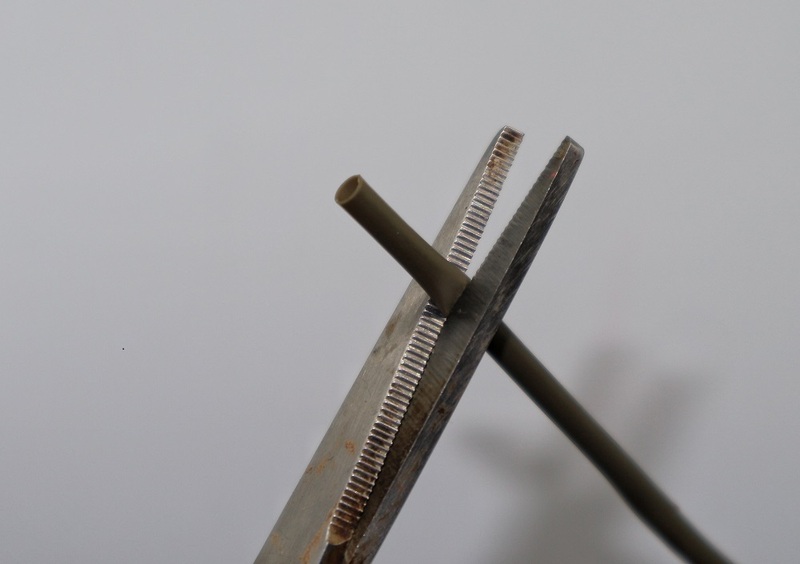 Step 4: Cut around 10mm of shrink tube. 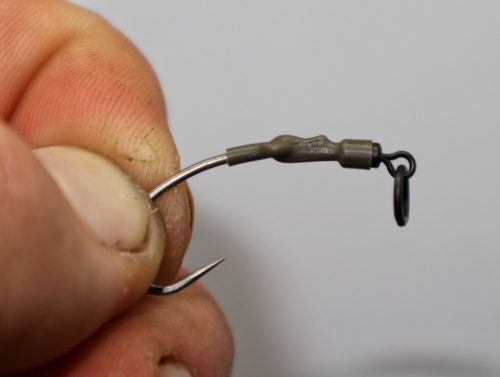 Step 7: Pull down strink tube over the eye of the hook and onto swivel then steam over kettle. 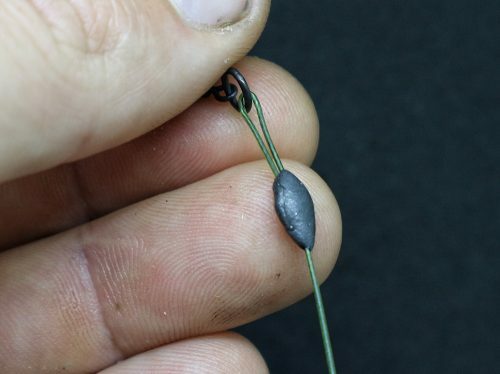 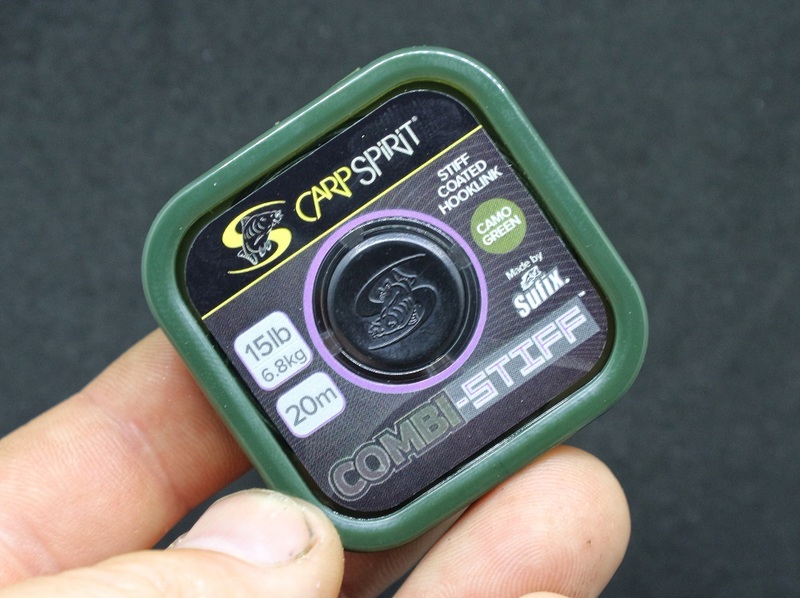 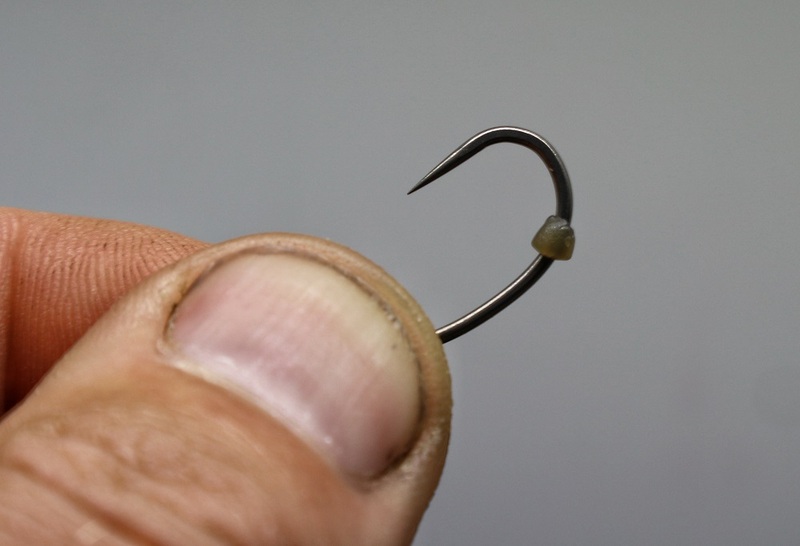 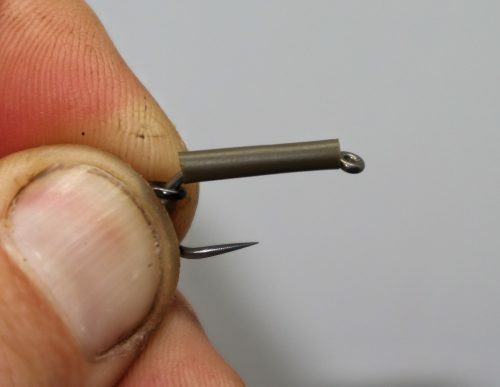 Step 8: Take your chosen hook length material depending on the lake bed, If a fairly clean bed, our choice, Carp Spirit Combi Stiff – Stiff coated hooklink in 15lb (This will give you a nice stiff boom section).